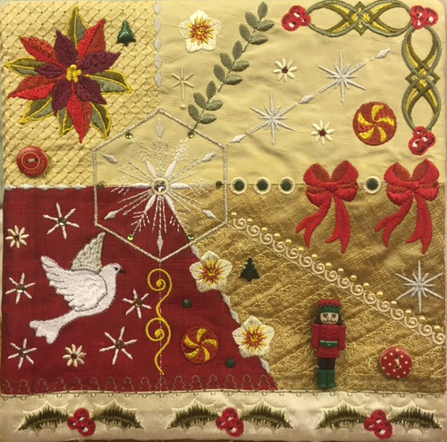 This is my Christmas 2014 Crazy Quilt block! 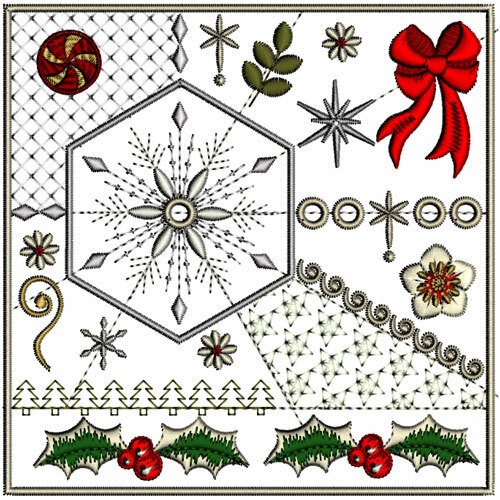 To create the block I have used elements from several of my Christmas collections, choosing a Graceful snowflake as the central point around which the segments of the block are positioned. You will find hellebores from my Celtic Christmas collection, a dove and bows from the 12 days of Christmas collection, a ball and holly leaves from Bon Noel, scrolls from Stars over Bethlehem collection and snowflakes from Noel romantique en dentelle. There are 2 blocks, one measures 5″ square and the main one measures 8″ square. shopping recently I have been looking out for suitable item for my quilts. This really is addictive isn’t it? There are so many options but I particularly loved the little nutcracker I found which reminds me of the Nutcracker ballet, perfect for this time of year. 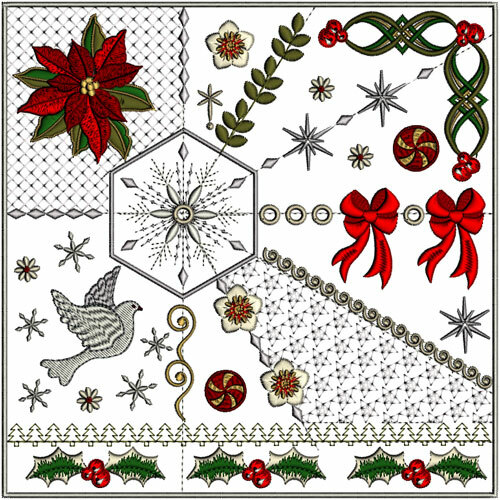 This entry was posted in Embroidery projects and tagged Christmas, Crazy quilting, Crystals. Bookmark the permalink. I love the crazy quilt designs beautiful! Merry Christmas and Happy New Year!